One of the greatest and most popular composers of all time was the quintessential Classical Era composer, Wolfgang Amadeus Mozart. 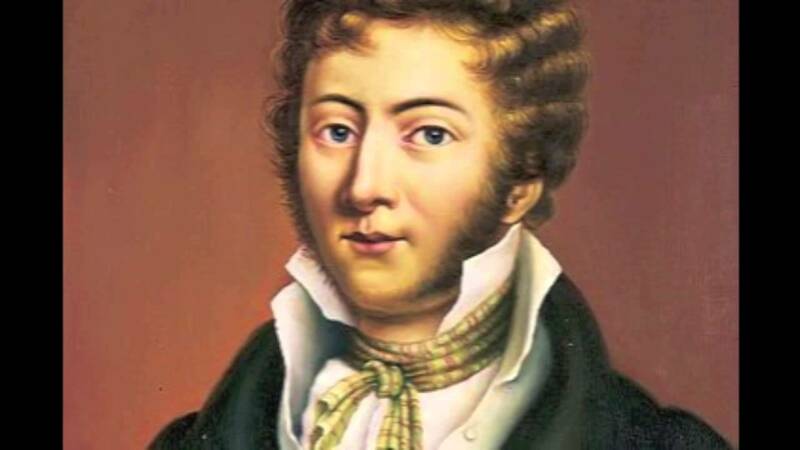 His popularity and acknowledged greatness as a composer was so recognized by serious musicologists, that it is no wonder we have other composers often compared to him. There is Juan Arriaga, "The Spanish Mozart". There is Adrien Boieldieu, who is known as "The French Mozart". Those two composers were both covered on The Tales Classical Music Weekends. Today we talk about another composer compared to Mozart - John Field born in Dublin in 1782. He is sometimes known as the Irish Mozart. From "The Irish post" web site there is this article entitled: "The Amazing Life of Forgotten Composer John Field - Ireland's Answer to Mozart" : "JOHN FIELD is Ireland's greatest composer and pianist, up there with the biggest names in classical music. Yet despite being dubbed Ireland's answer to Mozart, and influencing greats such as Frédéric Chopin and Johannes Brahms, his name and achievements have largely been overlooked. Field is credited with creating the [Romantic] nocturne, a musical composition inspired by the night. A musical genius ... Field spent most of his life in Russia." "In 1793, the Field family moved to London where Field secured an apprenticeship with acclaimed composer Muzio Clementi." ... "In 1802, he went with Clementi to Paris, Vienna and eventually St Petersburg. He lived between Moscow and St Petersburg for 29 years." "Field died in Moscow in 1837." Like Chopin, Field composed almost all [if not all] his works that included piano-either solo or along with other instruments. To read the full article in "The Irish Post" please click here. Please turn up the volume and enjoy some beautiful music from the Irish Mozart - John Field.